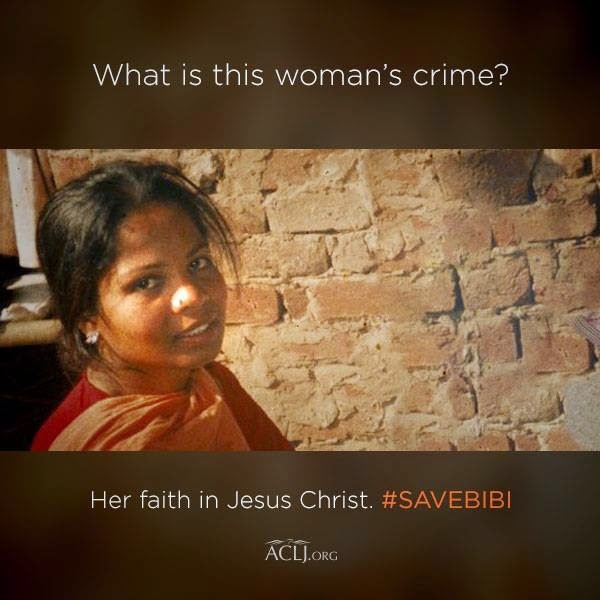 Will Asia Bibi will be executed under Islamic law? Christian sentenced to death for blasphemy in Pakistan begs supporters "please don't abandon me" as she makes final appeal against her sentence", DailyMail Online. Please write to your elected federal officials to petition Pakistan to release Asia Bibi from prison and her death sentence.